BACK TO SCHOOL SHOPPING | RAWR BOWS. Okay, fine, it is only August. Buuut, whether we like to admit it or not September is quickly approaching (or at least the horrible weather seems to suggest so) and a new school year is about to start very soon. My favourite thing about back to school season has always been having an excuse to buy new clothes. As someone who has never had to wear a uniform to school, I always needed a decent amount of 'casual yet cute' outfits to wear to the daily fashion show that was high school. That quickly changed as soon as I got to uni but let's not talk about that. Today, I thought I would share with you one of my favourite online stores: Yoins*. Whilst it may not be my go-to store every time I want to buy something since it does take a while for the items to arrive to the UK, it's my go-to store when there is a lot of things that I need to buy as it is incredibly cheap and it is also very good quality. Last winter I bought quite a few sweaters, which were all £20 or less, and they are still going strong! 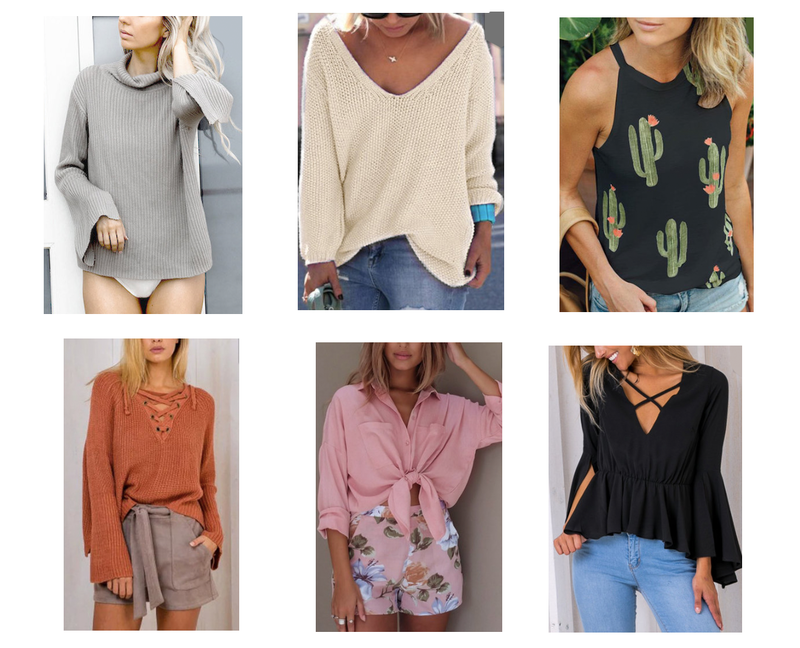 They have everything from summer dresses to chunky sweaters and the cutest stylish tops for any occasion. They do have the cutest summery fashion blouses but my favourite thing will always be their sweaters. They have so many deigns, styles and colours that you are always bound to find something you love. They are all also super comfy, many of them are a bit baggy which I absolutely love because there is nothing I hate more than tight sweaters. If you're looking for a place to buy some cute affordable and good quality clothes I'd totally recommend Yoins, they've never disappointed in the past and hopefully won't start now!